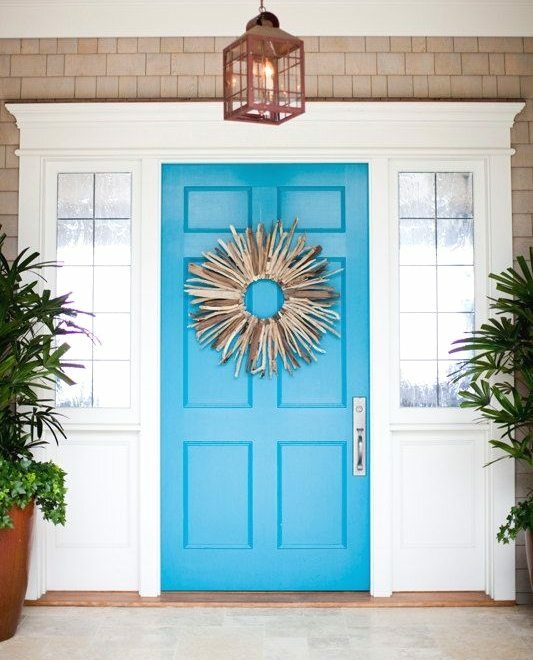 Make an entrance with a beach blue painted front door! These blue front doors are simply a-door-able! 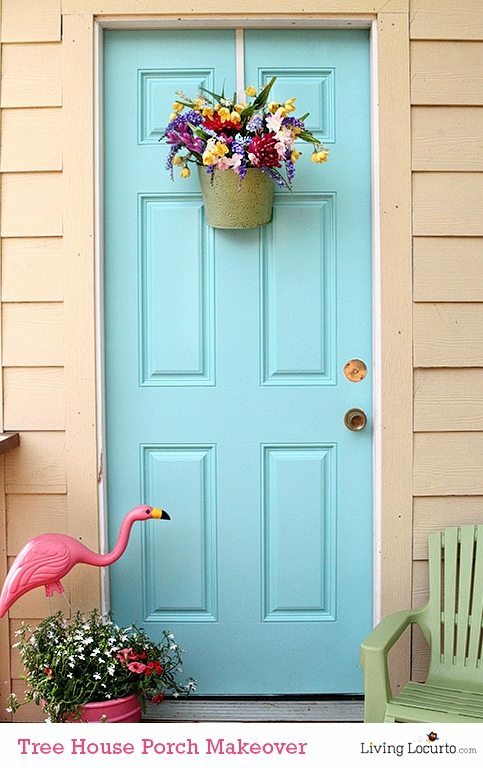 Paint your front door in a blue that reminds you of a beautiful day at the beach. The blue can be soft pastel or bright. Whichever hue that says welcome to the beach! 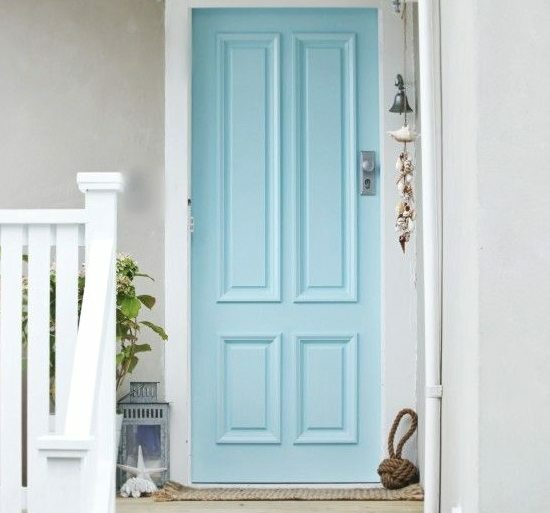 The first door is painted in Simple Aqua (5008-10A) by Valspar. You can learn all about the door makeover at Coastal Living. To tie in the beach even more, hang a beautiful wreath! I especially love the driftwood wreath by Madera Del Mar on the second door. It adds a rustic weathered element to the entry. Door number three is the lovely entry to Sarah’s Beach Cottage. Her choice of paint color is a subtle, soft blue by Dulux, not available here in the USA (she’s located in Australia). Blue door number four is painted by Living Locurto in four easy steps. She walks you through it! 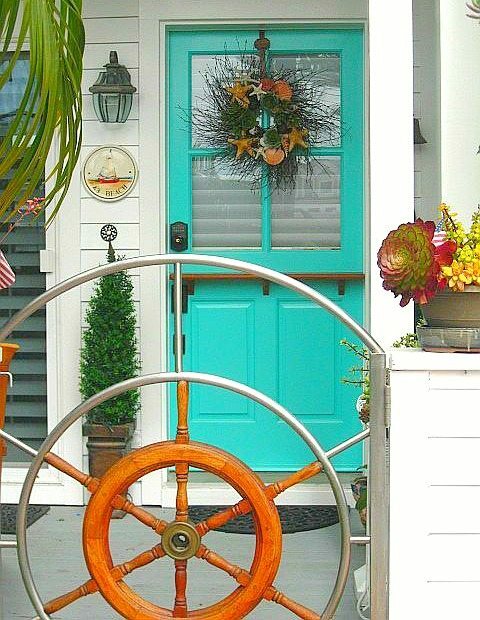 And a delightful turquoise entry door in a Newport Beach cottage featured here. For blue color inspiration from the beach, take a look at these gorgeous Color Palettes! 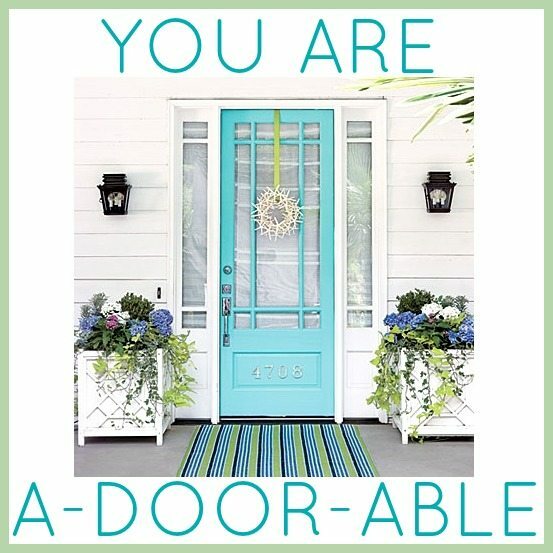 A beautiful blue front door can transform the look of your entire home!